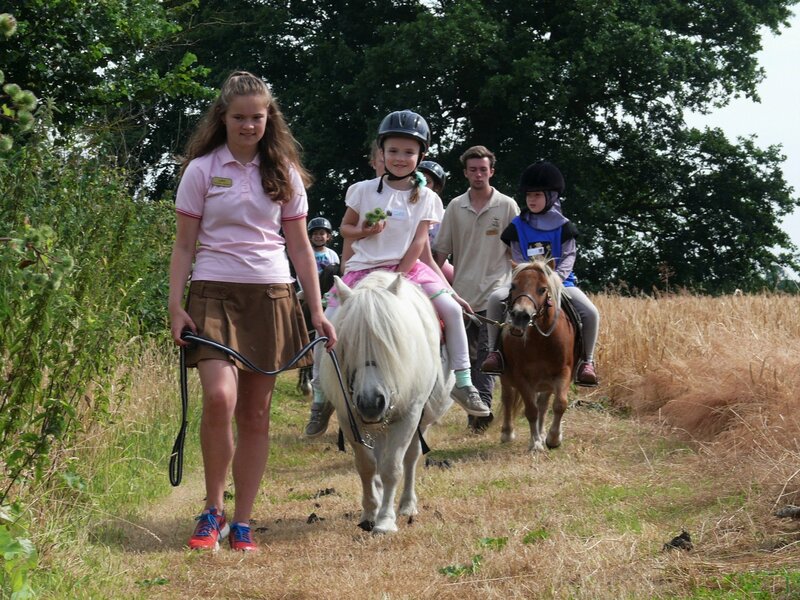 Shetland Pony Club Summer Pony Day Camps provide fun packed pony days for children from 5 – 12 years old at our lovely private estate in Cobham, Surrey. 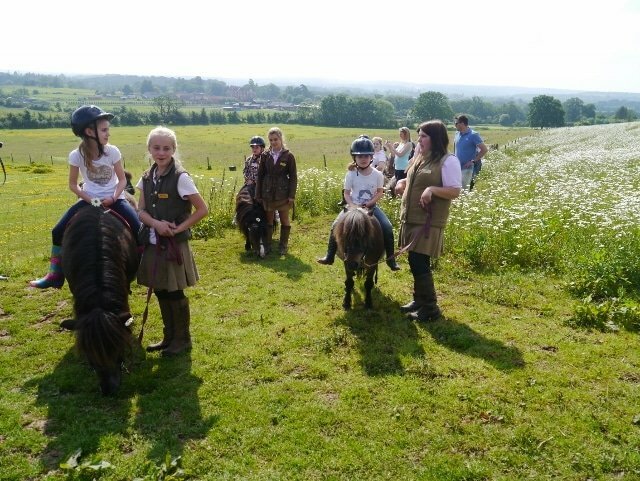 Children become friends with their very own pony for the day and go for rides in the beautiful meadows. They also learn pony care and to look after the paddocks and tack. We have special activities such as learning natural horsemanship, picnic rides to the river and mini gymkhanas. Children need to bring a packed lunch and snacks and wear leggings and comfortable layers. 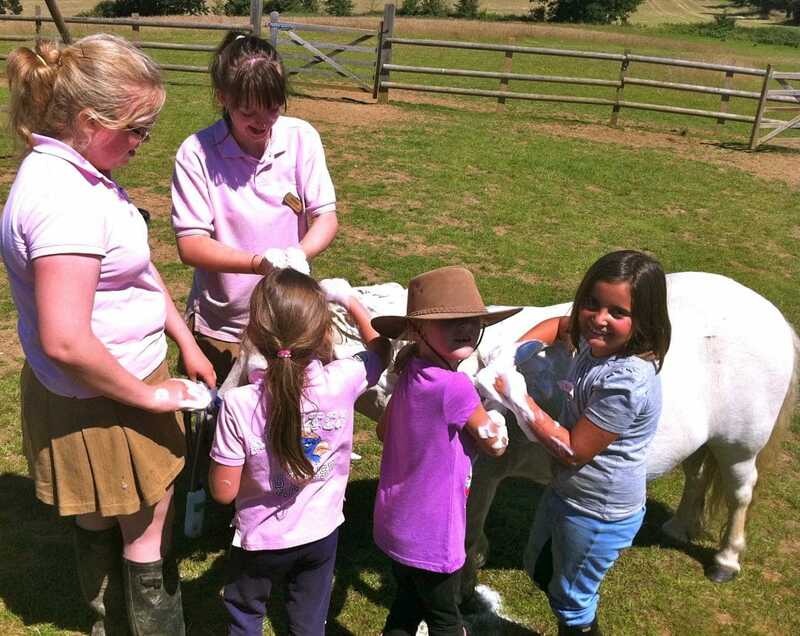 With lots of pony packed days of fun, you can join for 4 days or just for a single day. 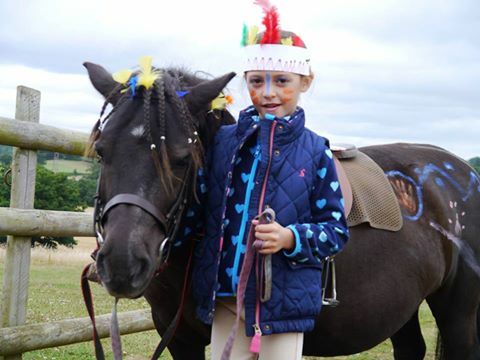 Enjoy four days packed full of pony fun with your favourite Shetland Pony. Suitable for children from 5 years old and above. 9:30am – 4pm each day. £500 per child per week (4 consecutive days Monday-Thursday). Can’t do all week? Join us for a days fun! 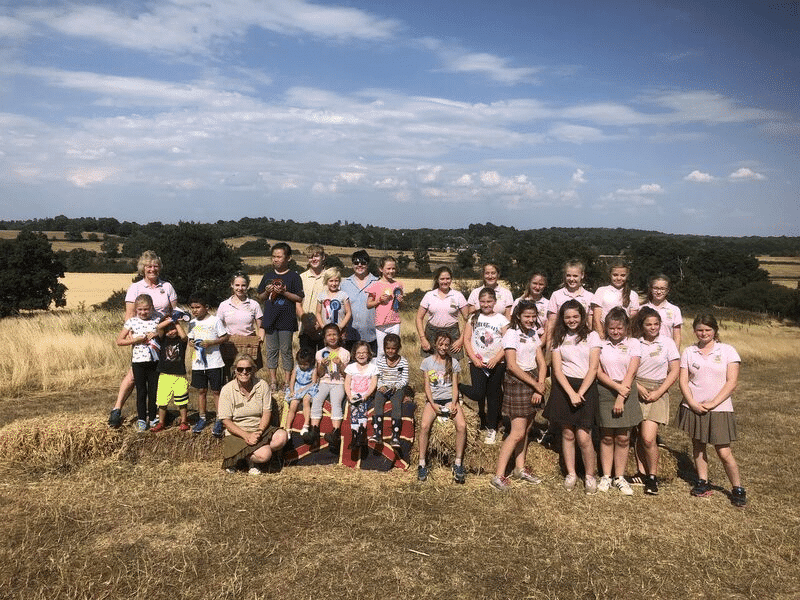 Lunchtime for all – while we let the ponies graze! Children 5+ years may be left with us all day provided that they have no serious allergies. All parents must sign permission forms and leave contact details. Please ensure that they have a healthy sized pack lunch and snack, children get hungry when they are outdoors all day. Water provided. A spare set of clothes is a good idea. Parents are invited to arrive at 3:45pm for prize giving. Please ensure children are wearing leggings and comfortable layers including a shower-proof jacket, t-shirts with sleeves – no strappy tops, please. Wellies or trainers are needed, dependent on the weather. Riding clothes are not required but do wear them if you have them. We supply riding hats and sun cream (factor 30). 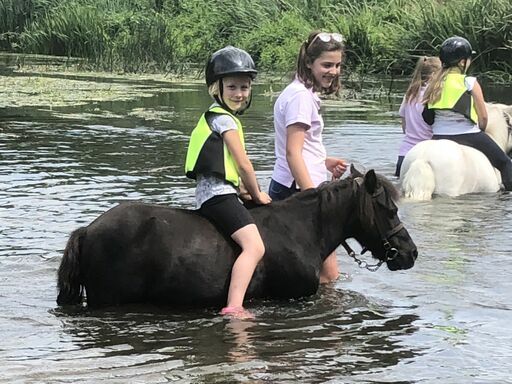 Body protectors are not recommended when riding Shetland ponies. We go out in all, but the very worst, of weather. In the event of very high winds or pouring rain or extreme heatwaves, we will contact you by text to re-arrange.